We’re living in such an exciting time when it comes to getting healthy and enhancing our beauty. We’re finally finding that fountain of youth, which is yours for the asking. We’re all about great health and well-being, here at GMP Medical in Hialeah. We want to help you, which is why we’re sharing this guide with you – Rejuvenate Fusion: Look & Feel Younger. We’re a full-service health facility – offering a full range of traditional services, but we also believe it’s important to boost your self-confidence, and for many people, that begins with a look in the mirror. If you’re not pleased with what you see, then you can easily do something about that. Celebrities and others swear by IV Infusion Therapy. GMP Medical helps you regain your youthfulness through IV infusion therapy. IV is short for intravenous injection or infusion, so IV infusion therapy is the administration of medications directly into your vein (bloodstream) over time, using a needle or even a tube. 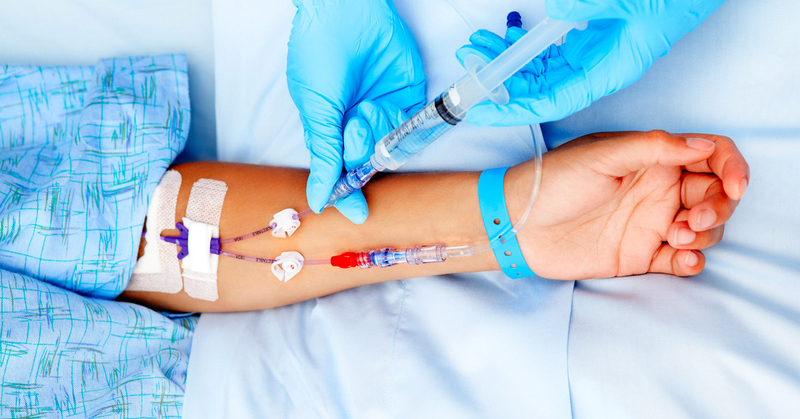 Hospitals have used IV therapy for decades, to treat various conditions – especially for patients for which oral medications or injectable treatments weren’t effective. Now, through an infusion of vitamins, nutrients, and minerals, medical professionals are using it to treat everything from dehydration to fibromyalgia, to boosting one’s energy. Some people say it even helps with hangovers. And yes, it also can help you get back your youthful appearance. Our therapy cocktail is a specially curated combination of age-defying antioxidants, Glutathione, Vitamin C, B-Vitamins, Biotin, essential nutrients, and rehydrating fluids that give your skin that youthful glow. We’re proud of our revitalizing and rejuvenating IV therapy and results. Whether you want energy IV therapy, IV hydration – or if you want to try intravenous therapy for rejuvenation anti-aging, we’re here for you. As mentioned earlier, we’re a full-service medical center with a state-of-the-art lab, and offer services for diabetes, cholesterol, blood pressure, heart-monitoring, mental health, Alzheimer’s, COPD management and education, weight-loss programs, and more. We accept all insurance and will work with you in any way we can. We want to see you, which is one of the reasons why we offer transportation to our patients. We hope our guide – Rejuvenate Fusion: Look & Feel Younger was helpful and motivating. Now- are you ready to find that fountain of youth through IV Infusion Therapy? Call us at (305) 823-2433 to make an appointment or you can request one here on our website. We look forward to meeting you and helping you with your health and well-being journey.